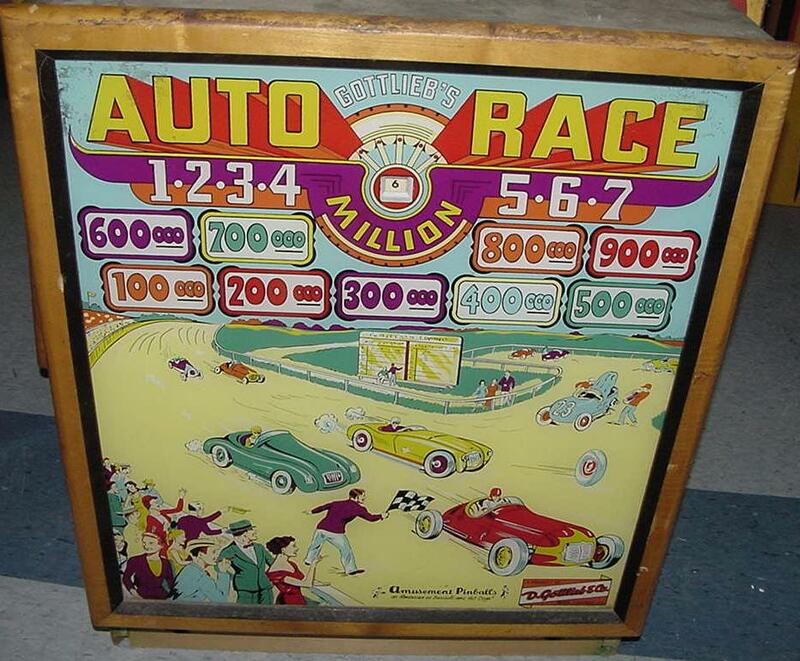 Description: Auto Race, 9/56, 1500 produced, 2 gobble holes, woodrail pinball. 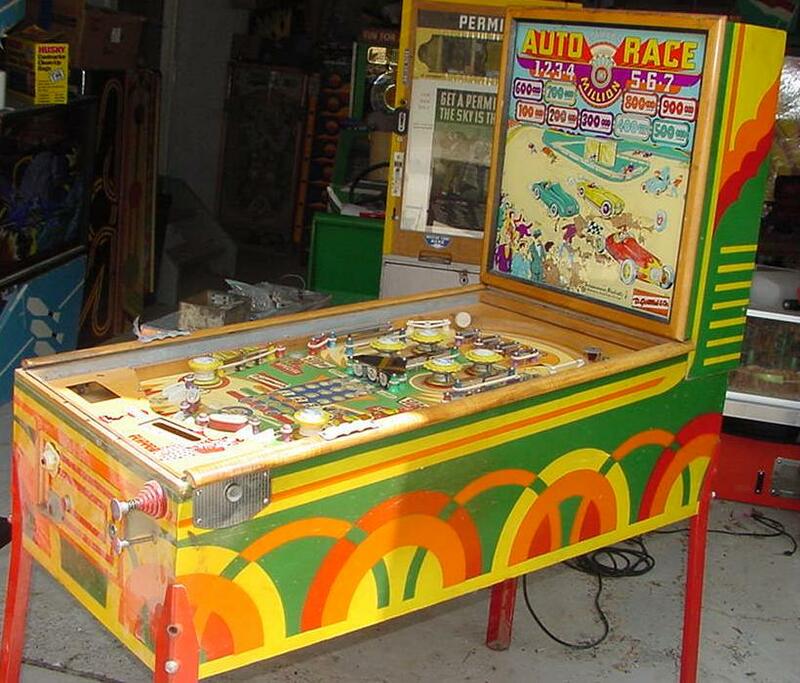 Backglass screened with "game over" and backbox panel is routed for a "game over" light bulb, but has no game over relay and no trough switches to sense the game is over, hence the "game over" backglass lighted area is not used. Artwork by Roy Parker. Can win up to 9 replays in a single game (not including high score replays). There are three center car targets labeled "one", "two" and "three". As the target is hit, it advances the car to the finish line. If a car reaches the finish line, it registers as a "first win". 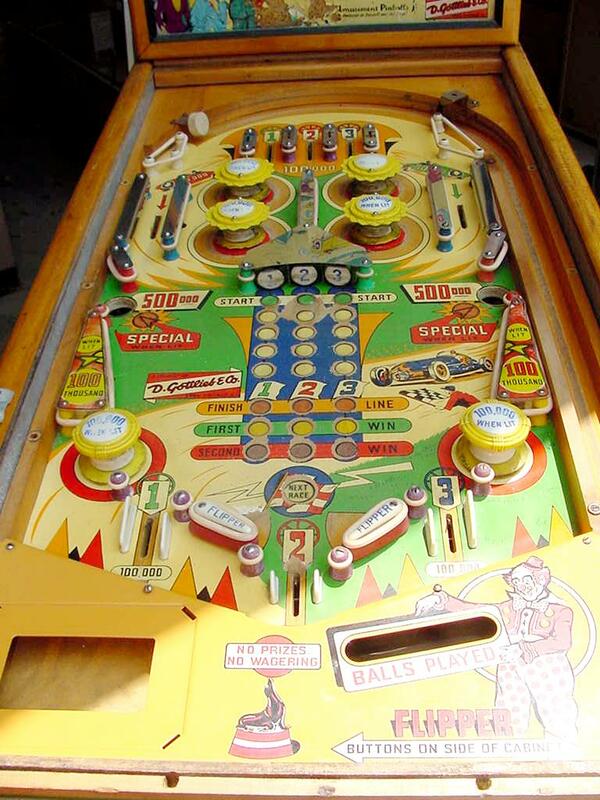 If a ball is put down the lit gobble hole, one replay is awarded for each car that has a "first win". If a numbered target is hit enough to advance the car again to the finish line, the car registers a "second win". Three replays are earned for each car that gets a second win, therefore giving up to 9 replays per game.